Be sure you caught the first part of this series – the LICK, posted last week. 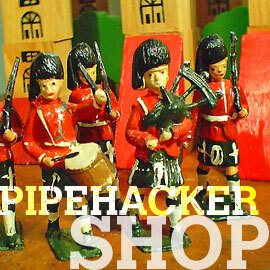 Next, we move on to the chanter-reed-pinch – possibly the most misunderstood reed-manipulation technique. 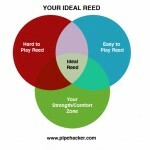 Remember, reed manipulation should only be used to achieve the SOUND that you want out of your reed; NOT the strength. In my experience, the vast majority of reed pinchers are pinching because their reed is too hard, and not because they are trying to achieve a certain change in sound. Let’s have a look at what pinching does. 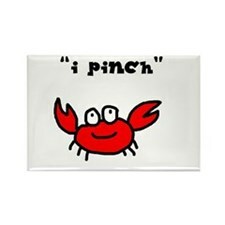 First and foremost, pinching raises the pitch of a reed. From what I can tell, the reason this increases the pitch is because a pinch flexes the fibers of the reed inwards, and because these fibers are loosened up (and loosened in the right direction), the blades of the reeds are able to vibrate faster, and thus higher-pitched. I would also add that, (for reasons I can’t figure out) the bottom hand notes tend to increase in pitch slightly more than the high-hand notes after a pinch. This being said – the risk involved in pinching is high. Each pinch decreases the life-span of a reed. Heavy flexing of the reed blades will eventually cause the structure of the reed to become compromised. 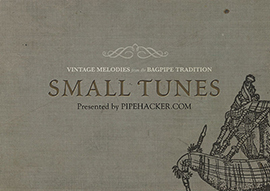 Decrease in volume, un-balancing of the tuning of notes, shrill and thin chanter tone. My point here is that pinching can be useful, but it is very risky, and definitely decreases your reed’s life-span. Lately, I have been utilizing the rubber bridal a lot. A rubber bridal is just an orthodontic rubber band (used for people with braces!) 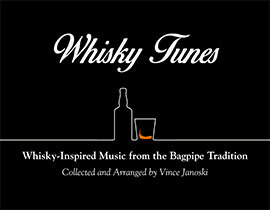 that can be wrapped around the bottom part of the blades of your chanter reed. 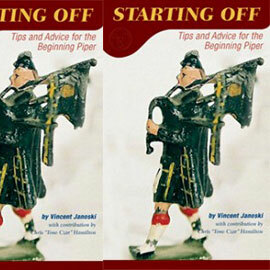 This provides a gentle, constant pressure on your reed that’s a lot like a pinch. As long as you don’t bring the bridal up more than half-way up the reed, it tends not to decrease the life span of a reed. 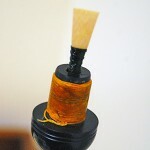 Again, a pinch or rubber bridal will make the reed easier, but its purpose is to elevate the pitch of the reed. Thoughts? Join the Discussion on Our Facebook Page!